We’re proud to be hosting the third Home Is Where The Art Is charity auction. 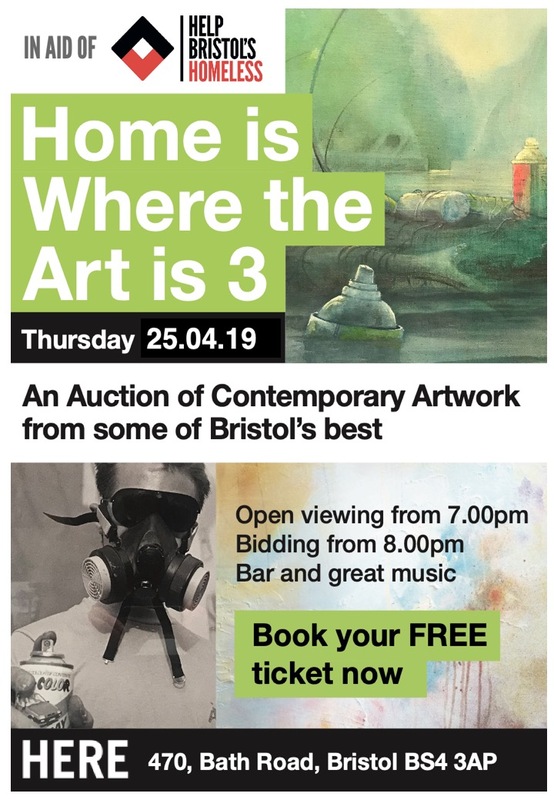 Some of Bristol’s best artists have donated prints and original pieces for sale to the highest bidder on the night. Sid Lawrence is compere and auctioneer once again, and there’ll be music, a bar and delicious food on offer. Everyone is welcome, so come along, bring your friends, enjoy some great art and getting bidding, all in a good cause.